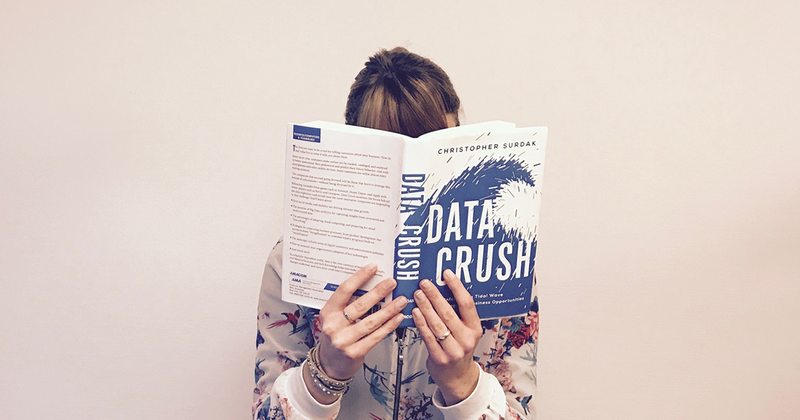 getAbstract had the opportunity to talk to information technology professional and Data Crush author, Chris Surdak, and ask a few questions about big data, what companies actually do with the data they collect and how your company can succeed in this new information age. getAbstract: Is everything we do online really being monitored all the time? How much data do people produce daily? Chris: Absolutely everything that we do online is being monitored all of the time, although not all companies are doing this. It should be obvious which companies do capture our data. They are organizations that provide us with services without charging us for them. Think of Facebook, Google, Amazon, Waze, etc. These companies provide us with tremendous capabilities, apparently for free. However, the real costs to us is our privacy. These same companies are worth hundreds of billions of dollars because we give them our data, and they turn it into value and, eventually, money. How much data do people produce daily is very hard to estimate, as usage varies greatly amongst people. Current estimates are that humanity creates something like 2.5 quintillion bytes of data every day. If there are about 8 billion of us on the planet, then each of us produces about a third of a terabyte, or 300 gigabytes every day. We don’t each produce that much directly, but that is what modern society creates in order to provide the world that we take for granted. Some specific examples might help. If you use location services on a smartphone, then you’re creating and broadcasting your position in the world every second. If that piece of information takes up 100 bytes of data, then every day you create 8.6 megabytes of information, just on your location in the world. By itself, Facebook collects 500 terabytes of data every day. getAbstract: What do companies do with that data and what business opportunities does the use of this data present? Chris: The vast majority of companies do nothing with this data. They either don’t collect it, or even worse, they collect it and don’t use it. The information that each of us generates is a gigantic gold mine that most organizations ignore, at their peril. Companies that use this data effectively are those that most of us know and love from the apps that we use. Amazon, Apple, Facebook, Waze, Google and so on, are massively-successful companies because they are information companies. These organizations try to create, capture and use as much data as they possibly can. They create information wealth, and they are becoming dominant businesses. Many traditional companies collect data, but they do not act on it; at least not as fast as digitally-focused companies. The most important opportunities for companies is to realize that not all information is created equally. Some data is much more valuable than other data. In the first 30 years of the Internet, content was king. Now, content is passé. Context, a person or object’s place in space and time, is the new king. If you think of companies who serve us with apps on our smartphones, the most successful ones use our context to meet our needs the moment we have them. Context companies are the dominant players, and new innovators such as Uber, Airbnb, Simple Bank or Waze are context engines. These companies track our context, and that of the things we want, and put the two together. Context is the path towards wealth in the digital age. getAbstract: Do you have any recommendations for companies? Chris: My second book, Jerk, provides guidance for companies on how to succeed in this new information age. Traditional, capital-focused companies use what I call the Analog Trinity (Bureaucracy, Process and Rules) to create more capital wealth. This has worked well for 200 years, but the Analog Trinity fails us in the information age. This is because information-focused companies use a different trinity, the Digital Trinity of Mobility, Social Media and Analytics to create information wealth. There are a range of differences between Analogs and Digitals, and how each creates wealth and value. For instance, Analogs spend time to save risk, Digital spend risk to save time. By this I mean Analogs will take weeks, months, even years in order to minimize the risks that they take. Digitals will accept a great deal of risk in order to save time. This is why Uber simply rolls out their service in new markets, even if it is technically illegal to do so. They accept the risk of violating a regulation in order to save time. An analog company would spend years trying to avoid taking that risk. If you are an analog company using the Analog Trinity to try to make information wealth you will fail spectacularly. To create information wealth you must use the Digital Trinity. This is fundamentally what Digital Transformation is all about, and this is why transformation is so difficult for companies. It requires entirely different thinking. What do you think about big data and the socialification of our lives? Participate in the getAbstract Challenge 2017, enjoy our #30DaysOfSummaries and win a one-on-one coaching session with Chris Surdak.